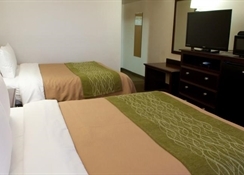 The hotel is located in Las Vegas- New Mexico- near Montezuma Castle- in an ideal position to enjoy the unique vistas of the local natural beauty. Montezuma Castle and the Montezuma National Wildlife Refuge are just five miles away. 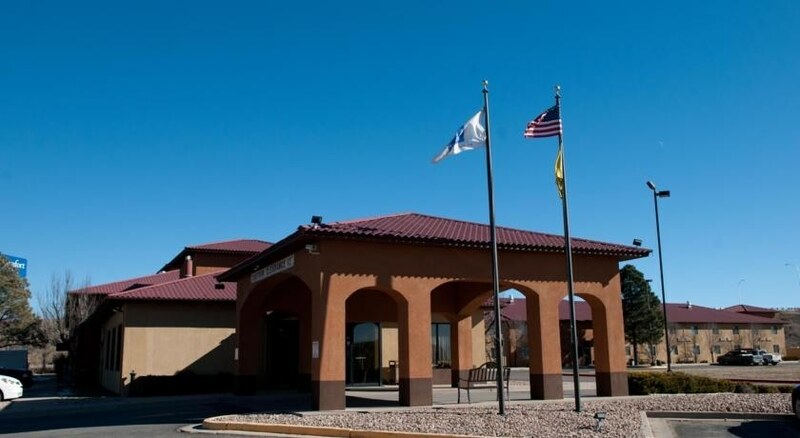 Fort Union National Monument and Pecos National Monument are both less than 30 miles from the hotel. It is a wonderful destination to explore and experience historic Las Vegas and the Wild West as it really was. Visitors will wake up to views of the majestic mountains and wide-open plains. There are a variety of restaurants and cocktail lounges close to the hotel- which include Hillcrest- McDonalds- El Rialto- 2 G's and Trading Post. New Mexico Highlands University is two miles from the hotel. All guests are offered free continental breakfast. There is also an indoor pool with a spa and gym. 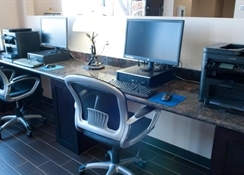 Business travellers will appreciate access to fax services. 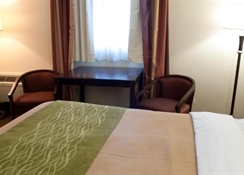 The hotel's comfortably furnished guest rooms ensure a good night's sleep. 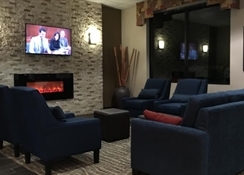 Guests are invited to enjoy the spacious and inviting lobby with fireplace. 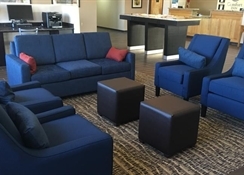 Wheelchair-accessible and non-smoking rooms are available. Truck and bus parking is also available and pets are welcome. Guests are invited to come to the newly refurbished hotel in Las Vegas- New Mexico.The hotel consists of a total of 101 rooms. 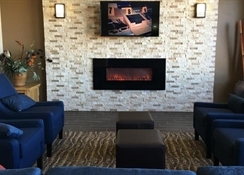 Guests can unwind at the indoor pool and gym- and enjoy the unique vistas of New Mexico's natural beauty.The rooms come with satellite/cable TV and a fridge.